The topic of ethical animal encounters is a highly sensitive and debated issue gaining increasing media attention in recent years. 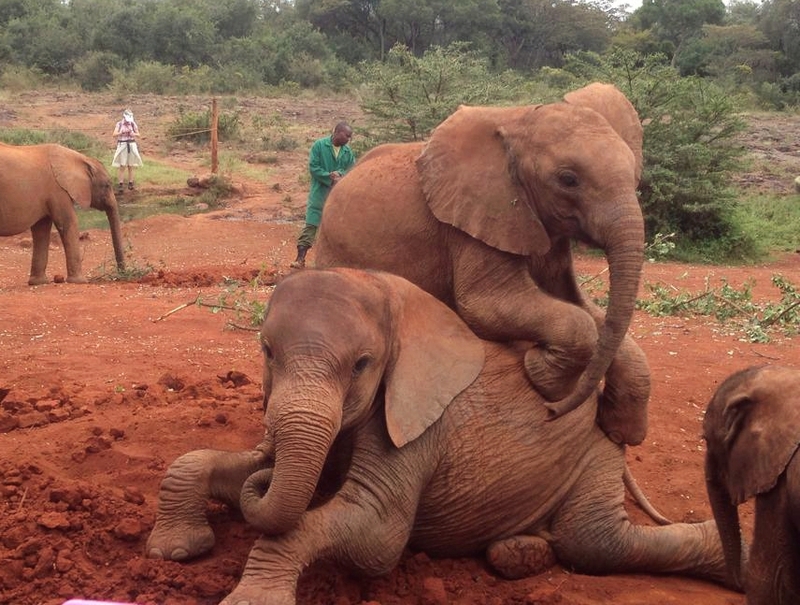 While most of us agree that most animal based encounters involve high levels of animal cruelty such as elephant rides, animal performances and pictures posing next to sedated animals, this type of tourism continuously fuels this cruel industry through the major profits made by these businesses resulting in more and more animals being stolen from the wild and usually beaten or drugged into submission. However, despite the negative effects of animal tourism and the doom and gloom surrounding these types of encounters, there are some ways to have meaningful experiences with animals that support their rehabilitation and preservation. 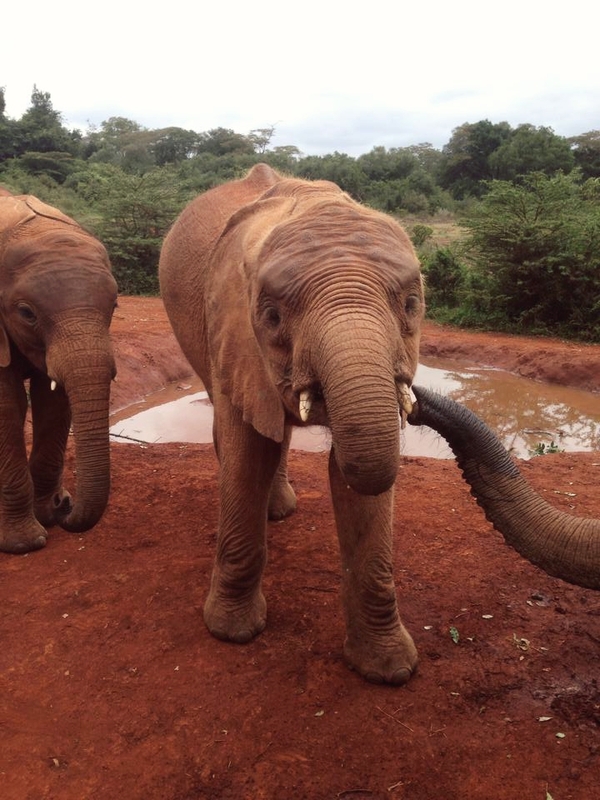 The David Sheldrick Wildlife Trust and Elephant Orphanage is world famous for their amazing measures to help the conservation, preservation and protection of animals in Africa. These measures include anti-poaching, safe guarding the natural environment, raising community awareness, addressing animal welfare issues, providing veterinary assistance to animals in need, rescuing and hand rearing elephant and rhino orphans, along with other species that can ultimately enjoy a quality of life in wild terms when grown. Orphaned baby elephants are often left completely alone in the wild due to poaching and when this happens they freeze, not knowing what to do, until they are found by a member of this organisation. 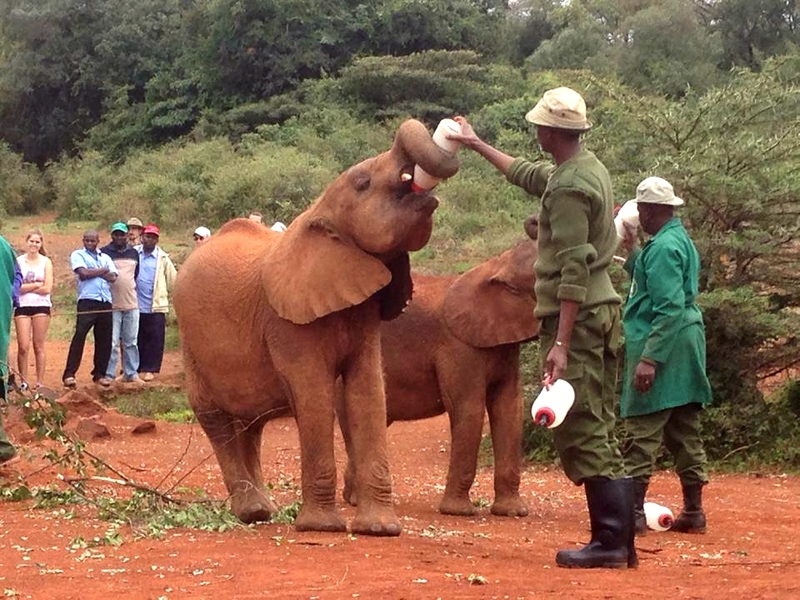 I was lucky enough to visit this sanctuary in Kenya and witnessed first-hand the amazing dedication of the team that work for this organisation. Every elephant is assigned their own keeper to sleep with them at night, feed them, wash them and generally look after them until they are old enough to be reintroduced into the wild. Entry starts at $7 US but you can donate as much as you like. They also offer plenty of opportunities for you to adopt an elephant and by doing so you will get to meet your adopted elephant up close. I can’t stress enough how much I loved this place and how amazing the work is that this organisation is doing. They are pivotal to the survival of elephants in Africa and their work directly effects the support, preservation and conservation of this incredible species. Scuba diving is something we LOVE here at Journeys by Design. Not only are multiple members of our team scuba-certified but this is a great way to experience the ocean and the abundance of wildlife that lies beneath. Scuba diving teaches you a lot about the importance of conversation and different underwater species, not to mention the first rule of thumb ‘don’t touch’ regarding wildlife. It is very important to remain naturally buoyant so as not to touch anything including the ocean floor. There’s plenty of ocean clean-up dives you can get involved with at your local dive centre as well as helping to raise awareness of issues among your local community. I’m a firm believer that experiencing the ocean first hand will naturally give you more respect for nature and the ocean as well as the importance of experiencing issues such as ocean pollution first hand. This encourages you to be more conscious about your daily decisions such as recycling and non-recyclable plastics. Therefore, I believe that everyone should get their wetsuit on and experience scuba diving at least once in their lifetime – you will not be disappointed! As first sight, this may not look like the most ethical animal encounter, but there’s a lot more to this experience that meets the eye. First off, we would like to state: you are not allowed to touch the lions. Africa lions have declined by 80-90% in the past 20-30 years and it is vital that we take steps to preserve this amazing and iconic species. Lion Encounter Africa’s first genuine program to ethically re-introduce offspring of captive bred lions into conservancies across the country. The cubs are taken out into the bush to build confidence in their natural environment. As they get familiar with their environment and confidence grows, they begin to practice their stalking and hunting skills that are crucial for them to survive in wild and to qualify for Stage 2 of the rehabilitation program. The funding they receive from tourism is crucial to funding this program and by walking with these cubs you will actively assist in their pre-release training. It is also important to note that this organisation is partnered with ALERT, the African Lion and Environmental Research Trust, a conservation and community NGO that is dedicated to the future of Africa’s wildlife and people, along with other stakeholders and partners that are listed on their home page. 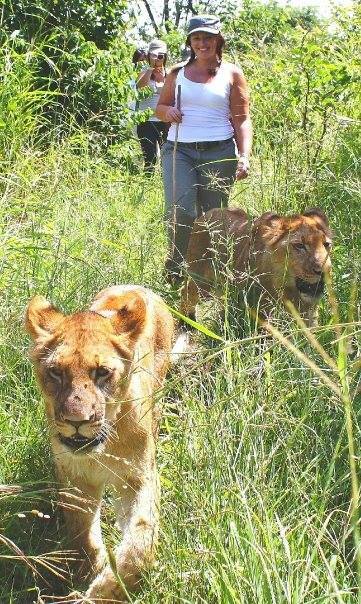 Our Director Hayley, was lucky enough to experience this animal encounter and says “It was one of those unforgettable experiences and one of the best experiences of my life. It’s sad to think that these experiences might not be around much longer due to the confusion surrounding their ethical nature. The money raised by these controlled encounters it vital for supporting the rehabilitation captive cubs”. This is another experience that at first glance, may not appear to have benefit for the gorillas. However, choosing a conservation safari to go trekking with gorillas contributes directly to the protection and conservation of the gorillas and their natural habitats. There are many reasons this experience has a positive impact on gorillas such as the money raised that goes into their preservation and protection, increased public and local awareness, increased gorilla ambassadors and the increased value of the tourism economy to see the gorillas rather than poach them. Again, it is important to note: you are not allowed to touch the gorillas. A distance is set by the guide that must be maintained at all times. At times the gorillas get curious and your guide will move you back to re-establish the set distance. The treks are very carefully controlled and require special permits and experts to guide you through the rainforest to these amazing creatures. The permits are limited to control tourist flow along with other strict restrictions and the experience usually only lasts for an hour or so but it is well worth the wait. Travellers are told not to travel if they are ill and reimbursements will be given to prevent the spread of bugs and diseases. “Not just anyone can go in search of these Gorillas in the wild. In Uganda, only 24 lucky travellers get the opportunity each day, and the $1000 gorilla permits (profits of which go to conservation efforts) sell out months in advance and I was lucky enough to secure one." "Even I was skeptical about how ethical this type of encounter actually is at first but I quickly learned that the money raised goes directly to helping protect these amazing animals and educating the local community as to the importance of protecting the species. Both experiences were incredible but I would recommend Rwanda due to easier accessibility (one less flight that Uganda), a less steep mountain to climb and less dense rainforest to trek through. This is a once in a life time experience and I would greatly recommend it to others”. Please see this National Geographic article on ‘5 Reasons You Need to See Gorillas in Uganda’ for more information. The Giraffe Centre in Kenya is another fantastic encounter that supports the protection and rehabilitation of endangered animals. 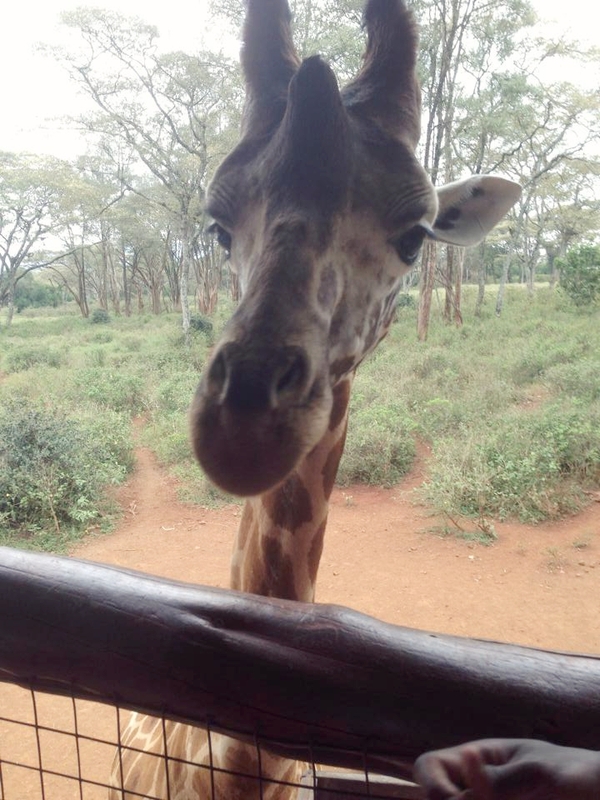 Located in Nairobi, this centre breeds and rehabilitates the endangered Rothschild Giraffes and releases them back into conservancies across the country. The calves are reintroduced at two to three years of age when they are old enough to survive and so far, they have released more than 40 giraffes back across the country. They work closely with Kenya Wildlife Service’s (KWS) veterinary doctors to make sure the giraffes are in good health and support other conservation organisations such as the David Sheldrick Wildlife Trust. This organisation also believes that ‘…to secure a better tomorrow, we must impart ideas and ideals about conservation in the younger generations today.’ As such, they provide free tours to schools and welcome over 50,000 children from all over the country every year. The children learn environmental themes such as sustainable development, forest conservation, wetlands protection and waste management with the hopes that this generation become ambassadors that continue to support and protect this amazing species. Our JBD member Chloe was lucky enough to visit this amazing centre. 4) Posing for photos while cuddling lion cubs, tiger cubs and other encounters of this nature. We hope you found this article interesting and insightful. It’s very easy to put your money in the wrong place these days especially regarding animal encounters. We hope this gives you a rough guide of the types of encounters that support protection and rehabilitation. If you have any questions about any of these experiences or would like to book one for your next journey, please contact a member of our friendly team today!